To provide a high-quality visitation experience to Savannah and its environs while maintaining a vision of Christian service, thanksgiving for gifts and contribution to community. Beginning in 1935, the Women’s Auxiliary of Christ Church provided a direct response to charitable needs in Savannah as a result of the Great Depression. The first Tour featured five homes showcased in one evening and raised $50 for the community. The Tour continued to grow over the decades. In addition to the Tour’s role in promoting Savannah, it also raises money for the support of several charities in Savannah and around the world via Christ Church Anglican and are also disbursed to the many preservation projects throughout Savannah. Recipients have included Habitat for Humanity, a local food mission serving over 60,000 meals per year, a home for unwed teenage mothers and many more. All proceeds are used to meet charitable needs. 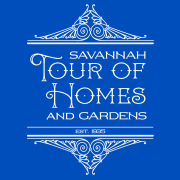 Would you recommend Savannah Tour of Homes & Garde?